A “stupid” juror has been jailed for eight months after he looked up a defendant online during a major criminal trial. 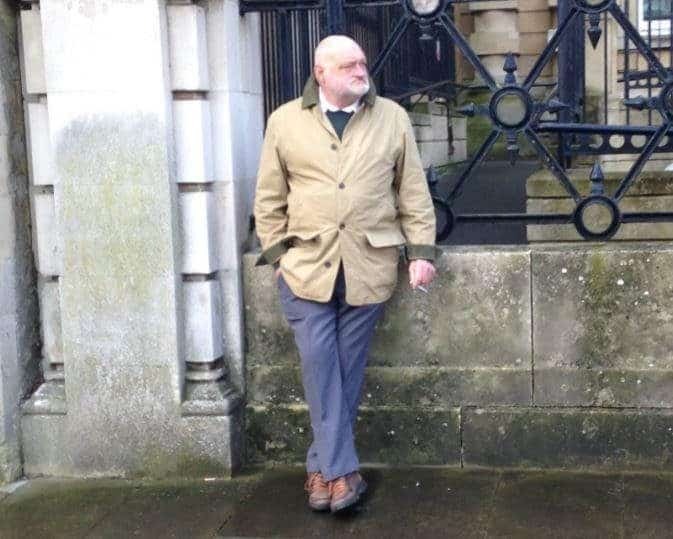 Malcolm Baughan, 65, was told he wasted “significant” public time and money by conducting his own research online midway through a crown court trial. He was kicked off a jury panel – assembled for a trial involving multiple defendants – after admitting ‘Googling’ one of those being tried. Baughan was told his internet research during the closing stages of the trial, held at Oxford Crown Court last year, was so serious he had to be jailed. Reading Crown Court heard on Friday how the 65-year old was sitting as a juror for a trial involving multiple defendants. Baughan, of Gouldland Gardens, Oxford, was caught out carrying out the illegal searches online and he and his fellow jurors had retired to consider their verdicts. He had researched online information about a number of defendants he was supposed to be trying. Reading Crown Court heard how the illegal research first came to light after a note was passed from the jury to the court judge. Not only did he conduct his own research, Baughan even later shared information about one defendant with the rest of the jurors panel. The offence carries a maximum jail term of two years under the Juries Act 1974. The specific trial in which Baughan was a juror cannot be revealed. Sentencing yesterday, Judge Andrew Nicol, said that Baughan had caused “great harm” by his actions and a significant amount of public resources “had been wasted”. He said: “You received explicit warnings not to do your own research. Those warnings were in writing and repeated orally by [the presiding Judge]. “The adverse consequences if jurors disobey the restrictions can be severe. They were in this case. After suspicions were raised, Baughan was quizzed and discharged from his jury service, while the rest of the panel continued their deliberations. He was then arrested by police and interviewed, and the court heard yesterday that he sought to “minimise” what he had done and “lied” about the research he had conducted. Both his laptop and tablet were seized by police, who found the full extent of his online research. The court heard that he had used Google Chrome to search for information relating to five of the defendants a total of 65 times and had accessed 75 individual web pages. Prosecutor, Kirsty Allman, went on to say that all jurors were given instructions by the presiding judge not to do any research and were each handed printed rule forms outlining their legal duties at the start of the trial. Baughan went on to refer to himself as a ‘stupid old fool’ for what he had done. He was later charged before appearing before Oxford Magistrates’ Court, in February. There he said he would plead guilty to five counts of being a member of a jury who carried out research during the trial and one count of sharing research with other jurors. He went on to admit all six of those counts at Reading Crown Court last month before his sentencing hearing, yesterday. Defending himself at court Baughan said he had been “stupid” and had accepted his responsibility for what he had done, but claimed his offending had been motivated by his “frustration” with how the trial was taking place. The court also heard yesterday that Baughan was a man of previous good character with no previous convictions of any kind. Sentencing, Judge Nicol said: “[You were reminded] that the internet was to play no part in your function as jurors. “[The presiding Judge] explained that it was a criminal offence for a juror to search for details about the case they were trying. “It was a further criminal offence to share any information they find in that way with their fellow jurors. Baughan was jailed for eight months and must pay a victim surcharge.